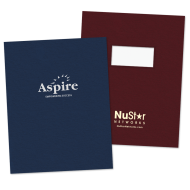 These custom report covers offer a quick and easy solution to giving a report a finishing touch. 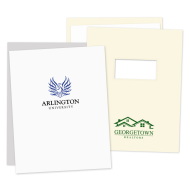 Our personalized 1 and 2-piece report covers are available printed in 1, 2 or full-color or foil stamped in gold or silver. 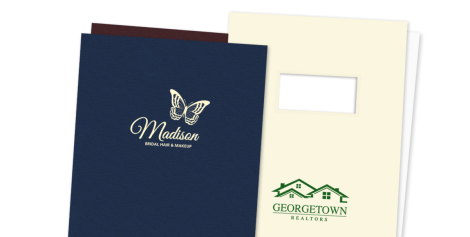 A personalized report cover made of our premium paper stocks is a great way to show your attention to detail. They make a huge impression and will enhance the value of your work. 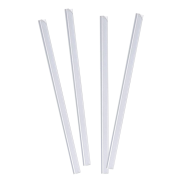 Our popular 1 and 2-piece report covers, were designed to work with any popular binding method, including: VeloBind®, plastic combs or wire binding.